Having helped to organise and promote HSP50, I expected it to be a special event but I don’t think I realised how special it would be until it actually started. 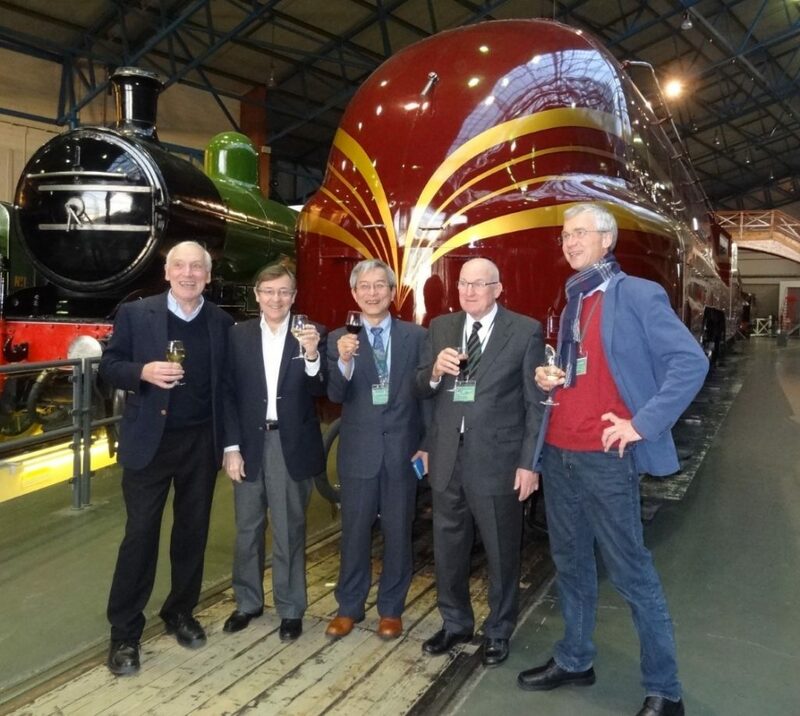 This image, taken at the Grand Conference dinner at the National Railway Museum in York, shows five of the leaders in solubility theory and practice. From left to right, Prof Steven Abbott (HSPiP), Prof Jean-Marie Aubry (U. Lille), Dr Hiroshi Yamamoto (HSPiP), Dr Charles Hansen (HSPiP) and Prof Andreas Klamt (COSMOlogic). Image from https://www.hansen-solubility.com/conference.php/. HSP50 was a special conference organised to celebrate fifty years of Hansen Solubility Parameters (HSP). HSP were first developed and described by Dr Charles Hansen in his PhD thesis in 1967 and have since been adopted by industrialists the world over as highly practical tools to assist formulation optimisation. So it was great to see such a diverse range of nationalities and organisations represented at the conference which was co-hosted and supported by the Green Chemistry Centre of Excellence at the University of York. Applications of HSP are hugely varied and we had excellent contributions on topics as diverse as solvent design, prediction of environmental hazards, organic photovoltaics, paint strippers, supercritical fluid extraction processing, dye delivery, prediction of eye irritation, the stability of nanodispersions, packaging and many more. Some well known names were amongst the attending companies (e.g. Croda, Solvay, Chanel, Lilly, P&G, ExxonMobil, Afton, Henkel, Schott, Agfa and Shell) and universities were also represented (e.g. Lille, Poznan, Nottingham, U.Mass Lowell, Montreal, Erlangen-Nürnberg and Karlstad). But for me the real highlights were first of all the sense of a community coming together for the first time (amazingly this was the first ever HSP conference) with a real willingness to share experiences but most importantly the tremendous reception given by the attendees to a clearly emotional Charles Hansen as he gave his keynote address on the first day. A huge amount of credit should be given to Professor Steven Abbott of the HSPiP team (which also includes Charles Hansen and Hiroshi Yamamoto) who not only gave a great HSP tutorial before official proceedings started but crucially inspired the conference and cajoled everyone relentlessly until it happened. Many thanks are also due to the able team from the University of York GCCE for their organisational support before the event and on the day. In case you missed out on HSP50 and would like to learn more about the topic, you can start by looking at the recording of our webinar on HSP50 or see background information on the HSPiP website.